As a life and style blogger, a huge part of my work has to do with shopping for clothes and styling. I personally love shopping online because it helps me avoid the messy floors or shark-type employees you'll find in stores today. I've been introduced to a number of services that offer new and easier ways to shop online, but could never find the right one until I came across Stitch Fix, a personalized subscription service that provide clothes right to your door based on your personal size, style, budget, and lifestyle. At sign up, you'll begin with a Style Profile questionnaire that will cover your style and lifestyle. This is the most important step because if not filled out properly, you'll get items that you'd never wear. You'll encounter questions regarding size, price point preferences, styles you like and more. However detailed these questions may be, they are crucial in helping stylists hone in one the type of person you are and the type of items you'd like to receive. Also, there's a section where you'll have space to write additional information that perhaps wasn't mentioned in the questionnaire. The best thing about this service is how they mandate your fixes (shipments) to fit your schedule or pocket. I'm sure there are people who'd rather not be required to maintain a monthly fix. Stitch Fix is all about accommodating your lifestyle, so you have the option to receive your fix on demand or consistently. And if you're wondering, it it is SUPER easy to reschedule or cancel. After setting up your fix, once your stylist gets your items together, you'll be charged a $20 styling fee that will be applied to your account as credit towards anything you keep from your fix (shipment). Once you receive your package, you'll find an assortment of 5 items, a shipping package for any returns, and 3 documents: 1 outlining the price of each item, 1 including a personal message from your stylist and ways to wear each item in your fix, and 1 pre-paid shipping label. Out of the assortment you receive, they can be anything from jeans and tops to jewelry and other accessories. It'll all be based on what you chose to receive in your Style Profile questionnaire. PERK: If you loved everything from your fix and wanted to purchase all items, you'll get 25% off your entire purchase. For my spring fix, I loved two out of the five items that were picked out for me: a jumpsuit and a pair of cute wedges. 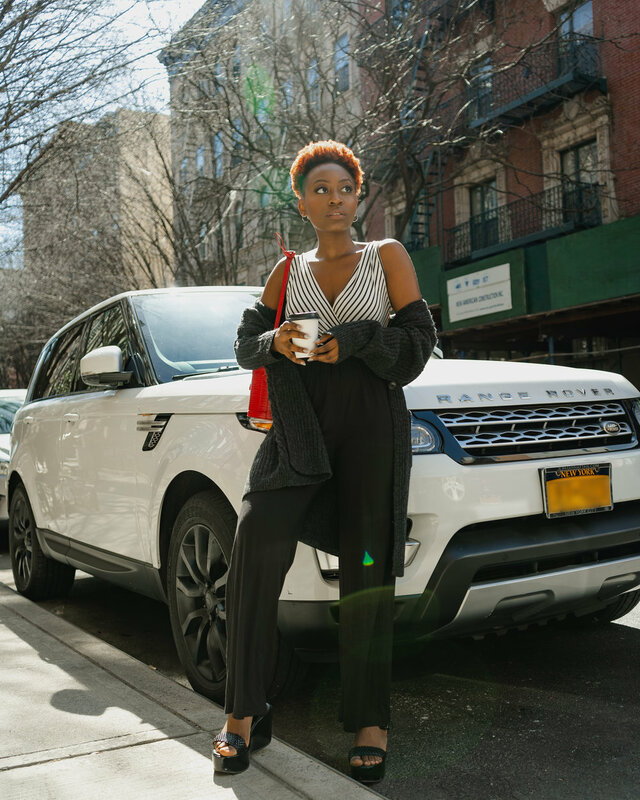 The jumpsuit was my favorite piece because it was super comfortable and versatile. I could wear it by itself, with a belt, with heels or sneakers, cardigan, trench coat — the possibilities are endless! After my fix was selected and paid for, I then revisited my style profile and made a few more changes that would help the stylists choose items for the next fix. Based on this experience, I see how it can be difficult for new customers to describe their style and provide specifics, especially those who many not have a sense of their own personal style yet. Nonetheless, the stylists are very helpful and try their best to accommodate as much as they can. The style profile is also very detailed in a way that prevents mistakes. So be sure to include as much information as you can! I love how effortless and easy Stitch Fix is. They're not pushy and overwhelming like most subscription services are and you can tell they value their relationships with their clients, ensuring all who try out their service a personalized and curated experience. You can use the service whenever you want, so the $20 styling fee/credit won't go to waste. All in all, you're not forced to do anything you don't want to do and you get to choose what works for you and your lifestyle. 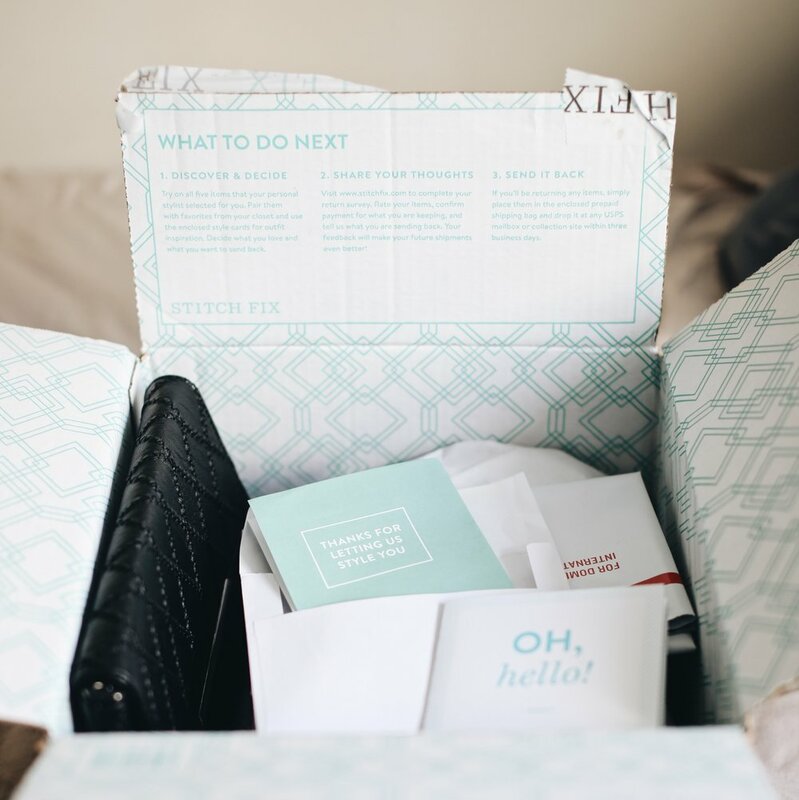 Schedule your first shipment from Stitch Fix before 11:59 PM on April 13, 2019, and receive $25 OFF! Click here to schedule your first fix! What do you think about online shopping subscription services? Let me know in the comments below!